Matthew 25 hosts the Cedar Rapids site for Green Iowa AmeriCorps. Find out how Green Iowa AmeriCorps can help you reduce your heating and cooling costs and make your house more comfortable through a home energy audit and weatherization. Weatherization makes your home more energy-efficient by doing things like sealing air leaks and adding insulation. Transform Week revitalizes lives and neighborhoods, one house at a time. 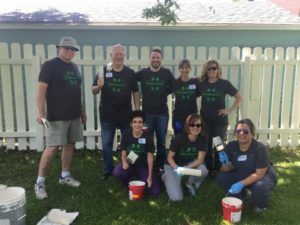 By connecting volunteers with homeowners, we take on basic maintenance projects that might otherwise cause the entire house to deteriorate. We offer hope when people are only seeing hardship. Learn more about Transform projects and volunteer needs. The application deadline for 2019 Transform has passed. We will post the application for 2020 Transform in January. 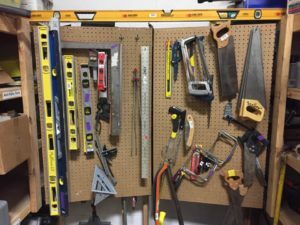 Gain access to a wide range of tools for home and garden projects through the Matthew 25 Tool Library. Learn about our investment in the Taylor Area Neighborhood. Get information about our Grow Taylor program. We offer a community-driven shared workspace for location-independent workers at Groundswell Coworking. It promotes collaboration and provides an alternative work environment for entrepreneurs, freelancers, independent consultants, creative professionals and others who might have traditionally worked from home. We provide event space in the Taylor neighborhood by renting out our cafe and coworking space. Groundswell is an ideal venue for a variety of events, including community group meetings, corporate events and training, holiday parties, concerts, recitals, and more. Learn more about our event space. Find your next home. Rent or purchase safe, quality, affordable housing from Matthew 25. See our list of available homes to rent. 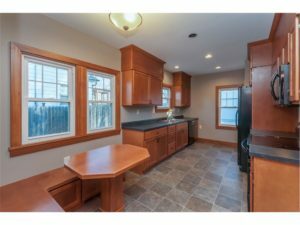 November 2017 we completed and sold a full remodel of a beautiful 3/1 home on the SE side. 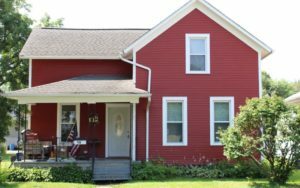 This house was completely transformed with custom cabinets, beautifully restored original woodwork and floors.